A good month, although down on the previous months. Some of the projects mentioned last month are still held up or suspended, or haven’t yet come through for me for various reasons, and January looks to be still a bit down in the doldrums. But after a super-quick jump up in earnings in the later part of last year, I’m still satisfied with these lower levels as I had not worked quite so hard or put in so many hours. Sewing pattern sales continue to do well and I’m really pleased with how the bag and wallet pattern has been selling. The Slouchy Sweater hasn’t achieved that same level of success but still sold enough to make a contribution to my numbers in December. Another pattern will be released on the 17th of January, again for an item of clothing. This time, some knit pants which were all very well received by the pattern testers – but will they sell? Once I have a few more patterns released I should be able to get a better idea about what direction to take this for the future. 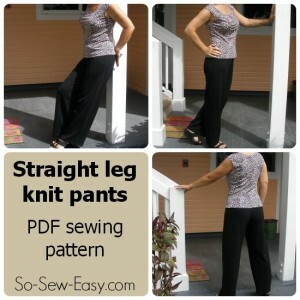 My free sewing patterns are usually for clothing and these always go very well, usually with more than 4,000 downloads every month. I’m not expecting any where near that number for paid patterns, but it will be useful to see if the clothing or the accessory patterns work better for selling. Something to watch. Blogger to WordPress Transfer E-course. I’ve been undertaking some promotional writing and sharing details of the DIY course on several other websites, hoping that the New Year will be a great time to make sales as people are thinking of making a fresh start. So far sales were disappointing in December, but I’m hoping my promotional work will pay off by getting this in front of a wider audience. The course really has excellent content and is good value for money compared to other offerings that are nowhere so good in terms of content and quality. So I am thinking that I just need a few sales with good feedback and referrals to get the ball rolling on this one. Early feedback from reviewers and testers has been excellent, and at just $37 the price is already good for the amount of work I put into this course, and the money it can save you. But even better, Moms Make Money readers get to SAVE 50% off the regular price, making it just $18.50. Use code MOMSMAKEMONEY at check out for 50% off the course. This course also comes with an affiliate program so you can recommend it on your site and earn $10 for each course sold. Read more about the affiliate program here. I’m also happy to sponsor a giveaway on your site for some extra publicity. Google doesn’t know if they love me or hate me. I feel the same way about them! Both sites suffered a huge drop in search engine traffic, but at least at Moms Make Money it has made an almost total recovery, just as suddenly as it was all taken away. So Sew Easy is still languishing and hasn’t recovered back to previous levels, but page views weren’t too bad overall and I picked up a lot of new readers and followers from the November sewing series that are still participating. I was about to hit the next upgrade level on my mailing list subscription this month so I carried out some Spring cleaning to the membership. It always amazes me how many people sign up to say yes please, send me your newsletter, and then NEVER open it, not even once, ever. So I cleaned up about 1,000 addresses from the mailing list and this has kept the upgrade fees at bay for a while longer. I really don’t like to do this and am not sure if I am loosing someone who might eventually have become active and one day clicked a link or bought a product that might have earned me some commission. So if you are used to getting my weekly updates from Moms Make Money or So Sew Easy and notice that you don’t get them any more – that’s why. Feel free to re-subscribe if you would like to. My free website set up service is still suspended while the hosting company work on a custom procedure for me which will allow me to set up sites for clients for free, without having to input my own personal payment details for the future renewals. The process has been taking much longer than anticipated due to Thanksgiving, Christmas and New Year, plus staff changes. I’m hoping to get this back on track very soon and catch up with all those who have asked for a site and are still pending. This web site set up service was a long term project for me, promising to send me small site renewal commissions on all those sites, for years to come (hopefully). I’ve been trying to think of ideas for products or services that will pay me further down the line, to create a small passive income, pay renewal subscription commissions etc. But opportunities for this seem few and far between, and usually don’t fit in well with my niche. I’ve read a lot about membership sites, asking people to pay a monthly or annual fee for access to premium content, videos or training. Do you pay for anything like this? Monthly or even a once-off fee? If I looked at Moms Make Money purely from a money-making point of view, I made a big mistake! By targeting new and small bloggers and those looking to be successful, my target market by definition doesn’t have a lot of income or money to spend on products I promote or sell myself. Oops. So it continues to just tick along with a few posts and tips here and there but not real money-making plan. Which I suppose is good for you as a reader because I’m not always trying to push products on you! But the site at least has to earn enough money to pay for itself and the costs, and so far it doesn’t do that. I had big hopes for my Amazon income in December. I really hoped that people would click through from some of my links, and end up filing their cart with hundreds of dollars of Christmas presents. Of course the commission rate on Amazon is very low, but I was surprised that my commission wasn’t higher in December. Anyway, enough about all that, and let’s get down to the actual detail for December. I expect the effects of the low search engine traffic to be felt in January earnings. It is also seen to be a time where people don’t have so much money to spend so I expect my affiliate earnings to take a tumble. I’ve already seen reduced returns from advertising networks so far this month, especially Blogher which is massively down as a lot of advertiser contracts seem to have expired at the end of the year. But January 2013 I made a grand total of $89.28 so I’ve come a long way since then. * Leave me your comments about e-book ideas. What are your pressing questions? What topic would you like to see covered? If you could ask just one specific blogging/money-making question, what would it be? * Let me know below – would you be interested in reading a series about how to set up an online store? 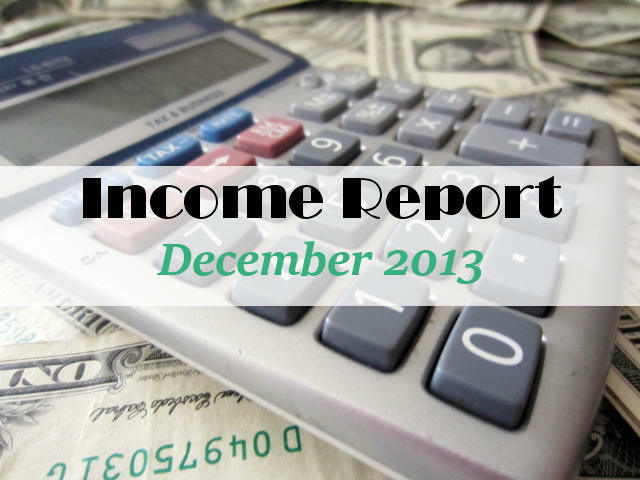 * Let me know below – are you still interested in reading these monthly reports? Do you get anything useful out of them? Does it give you action points or things to think about for your own site? You do SO great with share-a-sale, and I can’t even make $1! I’ve read your posts on it, but it’s just not clicking for me. :/ Maybe it’s my niche? Congratulations on your blogging success! I guess you haven’t yet found the right products or companies that really resonate with your readers. Are you actually reviewing the products personally, showing you using them and making it personal? There is nothing better than a personal review to get people to take a look. Have a look today at my latest post on the sewing site for my new dress form – hits to my store today have been huge because I am personally recommending a product I love to use myself. Would love to learn more about setting up an e-shop, and also about growing a Facebook fan page. Thanks for the feedback. I’ll be making note of the level of interest..
Hi Deby, This is my first comment on your blog as I recently subscribed to your emails. I’d be interested in how to set up an e-shop as well. Thank you and welcome. I’ll note that you are interested in learning about the online shop options. As a newbie I really appreciate your monthly reports and all of your work on Moms Make Money. It`s inspiring and very educational. I`d be very interested in learning about an online store. Thanks for leaving a comment Cheryl. Several people have expressed an interest in learning more about setting up an online store, so I’m adding this tpic to my to do list. Good luck with your new site. wow! I’m still impressed every month! I don’t know how you get so much from share-a-sale… but, I know you are super active on craftsy and your work there really pays off ;o) Congrats!!! Deby, I don’t know why it never occurred to me to delete newsletter subscribers that don’t interact with the emails. Thanks for pointing out this simple way to cut costs on paid newsletter advertising. Well I’m always reluctant to do it Jelli, but if they never open them, I assume they follow along in other ways such as Bloglovin or an rss reader etc. Or simply aren’t interested any more. When you get over 5000 subscribers and again over 10,000, the costs of sending a weekly newsletter really adds up! Thanks so much for sharing as always. I made my first $200 in affiliate money in December … early days but still whoop, whoop! Actually made most of it from Amazon but Share A Sale and CJ now starting to convert. Anyway have now got a huge heap of questions for you … very ball park how many different advertisers do you get sales from each month on S-A-S and CJ and how many have you got active? Also do you know roughly how many click-throughs you get on S-A-S and CJ and an average conversion rate. I know the clicks have got to come first and they might not immediately convert to sales but haven’t got a sense of how many clicks I need to be getting to get anywhere near your income. And finally … for the moment 😉 … a tricky one … do you have any sense of the average window in which your clicks convert. I have got a few lead based advertisers that are doing well which I like because even though it’s only tiny amounts of money it does let me see that people are actually signing up when they click-through but otherwise I am still in that wait and see game with lots of the clicks as to whether they will convert. Thanks for sharing this, I always enjoy looking at your monthly income just because it gives me hope! I’d love to contribute to family income via my blog someday! I LOVE reading your monthly updates, they are so inspiring. I don’t have a blog-but have thought about it. However, I work full time. But I also have a decorated cookie business and just started a small digital printable store on etsy in Aug. I’d love to see some tips maybe on how to have “small” blog if that is possible to share both my businesses with others. Not sure it’s even possible. But you always inspire me to try harder. Thanks for sharing your experiences. I do find your monthly reports very helpful and appreciate the time you take in making the information available! Wow! You had a good month! Congrats! I hope that Jan. is even more profitable for you! I would be totally interested in the online store set up! As always, your earnings are so informative and impressive! Thanks for sharing so much for your knowledge and experience! Ok, Brooke, thanks for commenting. It looks like it might be interesting for several people so I’ll add it to my to -do list to do a series of posts on how to set up various types of shops for your website. I’ll get on it as soon as I have some free time. Wow, your December earnings are amazing! I’m new to using Adsense and have a lot to learn still! Thanks so much- I look forward to this each month! I’m glad to hear that you are finding the information useful, and that from your other comment, some of my advice is paying off for you with some good earnings. Well done! Deby, I love reading these monthly reports, please keep doing them! i would also be interested in a series of posts about e-stores. Thanks for sharing this info with us. Thanks Jann. It looks like several are interested in learning more about setting up shop, so I’ve added this to my to-do list. I am so glad you shared this at the Foodies & Crafties Soiree. I am only a little over a year into blogging and have been wondering whether or not to monetize things. Thank you so much for giving information that I feel stupid asking for! Thanks so much for sharing this! It looks like you had a great month and year! Cheers to another one! You rock! I hope you do well in January. I got to build up my followers to get results like this! Thanks for the information.